Some control units are capable of displaying information about the car that is not fault related. 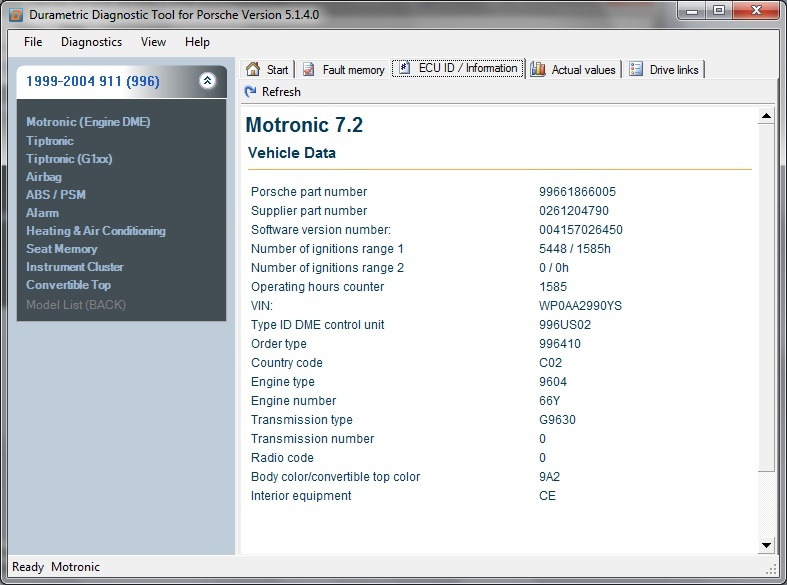 Sometimes this information is nothing more than the part number or firmware number, but in some cases it displays a lot of interesting information about the vehicle. To access this information click on "ECU ID / Information" tab (where available). Motronic 7.8.1 2006 Vehicle Information. Notice the 6 ignition ranges. The number is the number of ignitions in each of these ranges. The factory tool does not display the hours for each of these ranges, but the information is available so we display it here. The hour indicates the last operating hour that this range occured in.